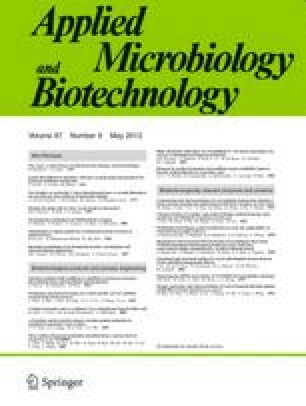 Protease activity was detected in the culture medium of Flavobacterium balustinum P104 grown at 10 °C, which was isolated from salmon (Oncorhynchus keta) intestine. The enzyme, designated as CP-70 protease, was purified to homogeneity from the culture broth by ion exchange and gel filtration chromatographyies. The molecular mass of the protease was 70 kDa, and its isoelectric point was close to 3.5. Maximal activity toward azocasein was observed at 40 °C and from pH 7.0 to 9.0. The activity was strongly inhibited by phenylmethylsulfonyl fluoride, suggesting that the enzyme is a serine protease. The n-terminal amino acid sequence was Asp-Thr-Arg-Gln-Leu-Leu-Asn-Ala-Asn-Ser-Asp-Leu-Leu-Asn-Thr-Thr-Gly-Asn-Val-Thr-Gly-Leu-Thr-Gly-Ala-Phe-Asn-Gly-Glu-Asn. A search through the database for sequence homology yielded no significant match. The initial cleavage sites for oxidized insulin B-chain were found to be the Glu13-Ala14 and Phe24-Phe25 bonds. The result of the cleavage pattern of oxidized insulin B-chain suggests that CP-70 protease has a broader specificity than the other cold-active proteases against the peptide substrate.